Last week’s Live Event in Far Cry 5 was all about playing time, while this week’s Live Event sees a pivot back to what we know so well, killing cultists. To help you navigate this week’s challenge, use the Punch Line Live Event guide below. 400k Cultists = Whack! Shirt. The instructions for the Punch Line Live Event are as follows: “It’s time to get pugilistic on those cultists! 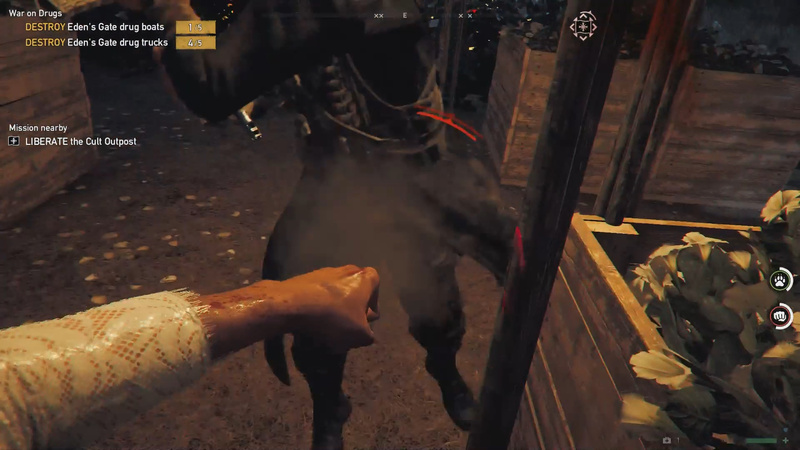 Use your fists, brass knuckles of even The Furious homeopathic to make kills!” To put the instructions more plainly, all you need to do is kill a total of 8 cultists using your bare knuckles, or brass knuckles in Far Cry 5. As the progression points out, this is a fairly simple Live Event challenge this week. All you need to do here is defeat 8 cultists with your bare hands in order to secure some loot. To easily complete this challenge, I highly recommend having Outposts available (since they are guaranteed to be full of cultists). Once you have an Outpost in mind, make your way to it and equip your fists. When you have your fists equipped, pop a The Furious potion and get to punching. You should be able to kill a number of cultists rather quickly using this method. Once you’ve killed a total of 8 cultists with your bare hands in Far Cry 5, you will unlock a couple of pieces of loot. Below you will find out how to access each piece of your new loot. Silver: Your rewards of Silver can be acquired by opening the Live Events Progression screen in the Online part of the menu. 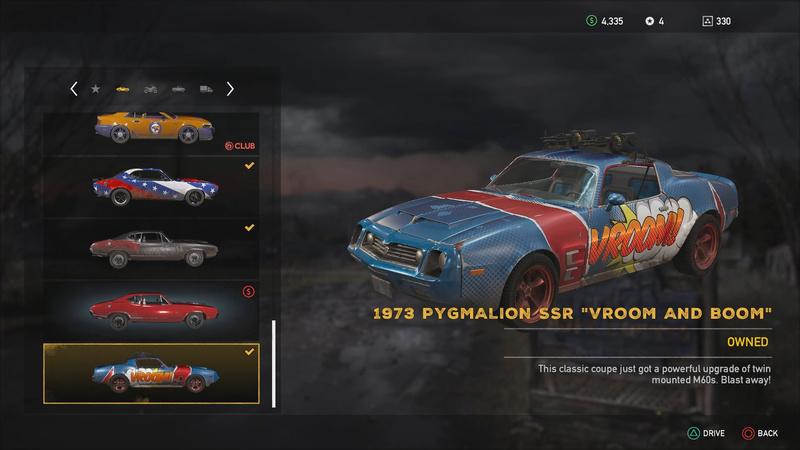 1973 Pygmalion SSR “Vroom and Boom”: This car can be accessed at any Garage after you’ve unlocked it. Simply access the Garage and make your way to the Automobile section (at the bottom you will find the car). Whack! Shirt: The Whack! Shirt can be accessed via the Character Customization screen under the Upper Body tab. 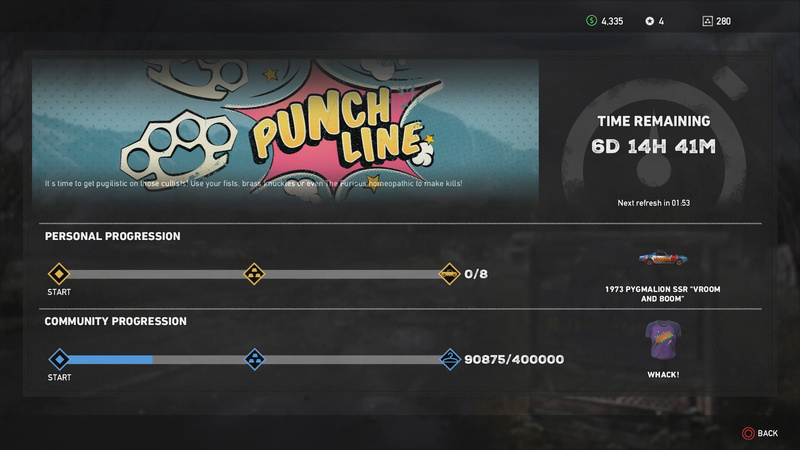 There you have it, a quick guide to the Punch Line Live Event in Far Cry 5. This event is one of the more disappointing Live Events they have done since the release of Far Cry 5. Thoughts on our Punch Line Live Event guide? Let us hear them in The Pit below.